The fired former NetOne managing director Reward Kangai’s onslaught on ICT and Cyber Security minister Supa Mandiwanzira continues as he fires back with fresh corruption allegations . Barely a week ago, Mandiwanzira when quizzed by the Portfolio committee on Media and ICT on corruption leveled against him by Agripa ‘Bopela’ Masiyakurima and Kangai, he refuted these allegations saying he never participated in any shady deals ever. Mandiwanzira fired a salvo at the duo claiming they were corrupt. The ICT minister presented before the committee the audit report on Kangai and Bopela done by KPMG to alibi himself out of the corruption allegations. Kangai quizzed Mandiwanzira’s honesty in denying being corrupt claiming Mandiwanzira had double standards. “Supa Mandiwanzira says the Government was duped into signing a US$218 million contract over-priced by US$120 million but he later presided over the signing of a US$485 million contract with the same Chinese company! Who is duping who? ?,” said Kangai. 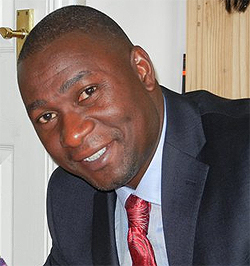 He was arrested last month a week after writing a letter to President Emmerson Mnangagwa to launch an investigation into Information Communication Technology and Cyber Security Minister Supa Mandiwanzira on allegations of criminal abuse of office and corruption. In his letter, Kangai accused Mandiwanzira of acquiring Telecel Zimbabwe to benefit the minister and former first lady Grace Mugabe at the expense of the public. He also accused Mandiwanzira of establishing a cartel of corrupt individuals such as Francis Mawindi, Brian Mutandiro, Ozias Bvute, Sibusisiwe Ndhlovu, Alex Marufu, Kudakwashe Nyashanu, Darlington Gutu and Peter Chingoka whom he appointed in strategic and influential positions.